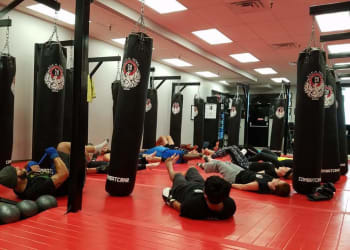 Whether you're looking for a high-energy training program without the combative elements or you're hoping to supplement your Krav Maga and Grappling workouts throughout the week, we have exactly what you're looking for with our Fitness Kickboxing classes in Gonzales and Prairieville. At S.I.C.A. 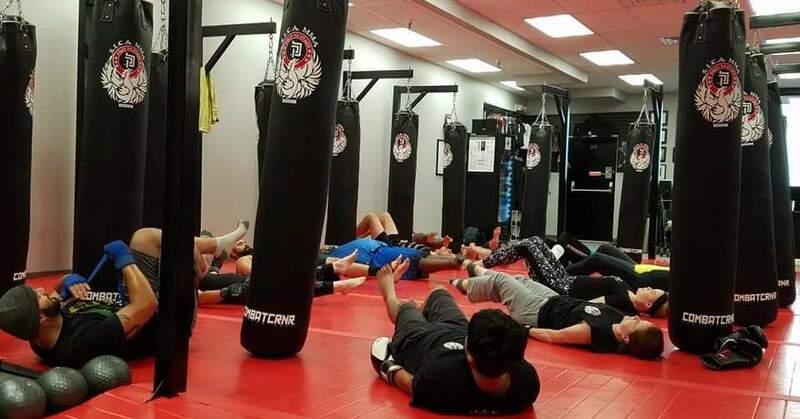 MMA, we offer multiple Fitness Kickboxing classes, each with unique goals and different journey towards real fitness gains. Our Fitness Kickboxing Classes work great as a complement to other training or as a stand-alone system for muscle growth and cardio gains. StrikeFit: A cardio-based workout utilizing Striking Combinations on Heavy Bags. This program combines functional fitness movements and exercises with practical fight combinations. You can expect improved total body strength, leaner muscles, better stamina and increased self-confidence. This will be a HIIT (High Intensity Interval Training) workout. 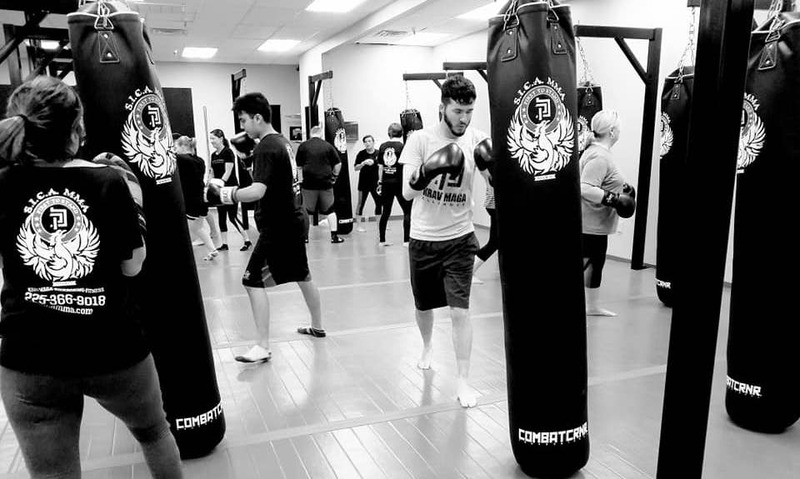 Traditional Kickboxing: Kickboxing class is a Heavy Bag utilizing strike combinations at a strong pace. Techniques are pulled from traditional American Kickboxing, Muay Thai, and Western Boxing. Boxing: Introduction to Boxing focuses on Fundamentals of Punches, Slipping Punches, Foot work, Conditioning, Striking Accuracy and Speed. Students will be working with Heavy Bags, Speed Bags, and Focus Mitts. Gear Requirements: Boxing Gloves and Wrist Wraps. All three of our Fitness Kickboxing classes are perfect for all ages and experience levels but do require wrist wraps and boxing gloves. Fitness Kickboxing is unique because unlike other programs, you aren't working through belt progressions or aiming for a certain strength goal. Instead, our students rely on the high-energy nature of these classes and the constant change of curriculum to stay motivated week after week. You'll push your classmates and yourself on a daily basis to work harder and get more out of your workout. AND all the self-defense skills you need to stay safe against any real world attack or threat. Challenge yourself today and enjoy better results right away. With our Fitness Kickboxing classes in Gonzales and Prairieville, return some excitement to your workout and enjoy going to the gym once again. Join us today at S.I.C.A. MMA by simply filling out the short form on your screen now. 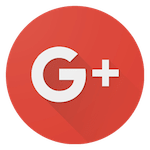 We'll be in touch soon to answer all of your questions and get you started right away! Get More From Your Training Today! This is not your average feel-good facility to work out and train. This place is a haven to learn unfiltered, technical, and VERY effective self-defense and fighting skills. It is intimidating to the first-time goer, but if you allow yourself to continue, you will find an honest family in which you can communally evolve both physically and spiritually. This place is well equipped to challenge you beyond the limits that you hold yourself. "Can't" is a word that is continually overcome throughout each training session. Give it a try. It's changed my life. It can change yours too. Great training for self defense for men and women. Large space so not cramped up while training. Knowledgeable instructors who take the time to make sure you understand the techniques. 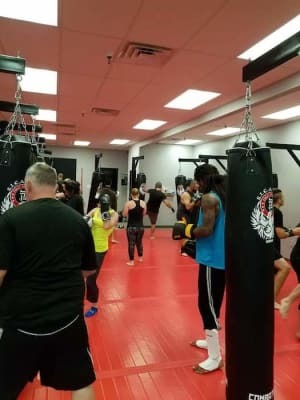 Anyone looking to have the confidence to be able to defend themselves and their family should the need arise, should definitely check this gym out.